One of three indoor tournaments in Europe this week, the Erste Bank Open in Vienna is an ATP World Tour 250 event in its 39th edition this year. 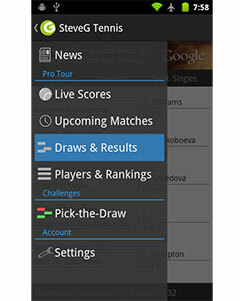 The tournament has seen winners that include the likes of Andre Agassi, Boris Becker, Roger Federer and Novak Djokovic. Last year’s winner Juan Martin Del Potro has chosen not to defend his title. 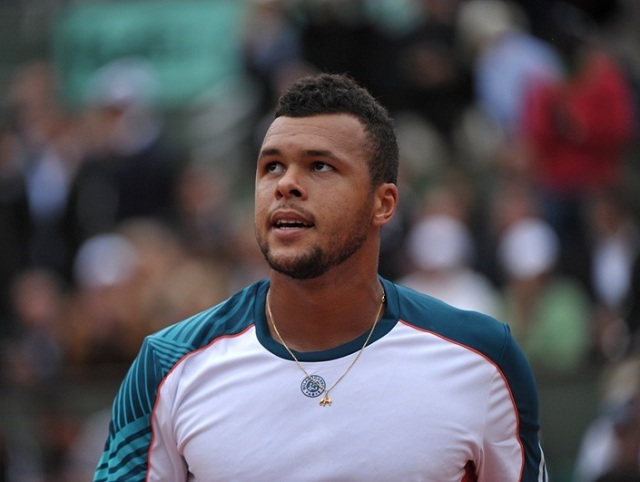 Like his fellow Frenchman Richard Gasquet who is playing Moscow, Jo-Wilfried Tsonga (Bio) heads the field in this tournament desperately seeking points to ensure his place in the World Tour Finals. Right now, he is in the final spot but the 250 points on offer here would provide a much needed cushion. A potentially tough match up in round two awaits assuming Daniel Brands can defeat home player Andreas Haider Maurer. As a qualifier last year, Brands gave a stern test to Del Potro, being the only player to take a set and only being defeated in a final set tiebreaker. Young wildcard Dominic Thiem has improved a great deal this season although has mainly spent his time on the Challenger circuit. He won a first round match last year and has a great chance of repeating that feat this year when he plays Daniel Gimeno-Traver. The Spaniard won their only meeting on clay but his indoor results leave a lot to be desired. Either way a Gael Monfils-Tsonga for the second time in three weeks looks likely in the quarter finals. Monfils will play the winner of the Thiem/Gimeno-Traver clash should he defeat Marinko Matosevic. Monfils comes into the tournament off a decent outing in Shanghai, finally losing to Novak Djokovic in three sets. The other quarter in the top half looks wide open with Fabio Fognini (Bio) as third seed. Losses to Nadal and Djokovic in China showed promise but in his most recent indoor tournament, he made hard work of doubles player Dominic Inglot before retiring two points from defeat against Michal Przysiezny. He plays the winner of Florian Mayer and Lukasz Kubot in round two. Although both on clay, Mayer is 2-0 against Kubot and this draw offers him a good chance to go deep. He was a semi finalist in Metz, losing to Jo-Wilfried Tsonga and was also defeated by Tsonga in the Shanghai quarter final. Mayer is 3-0 vs Fognini, all of which were on hard courts and in straight sets. No.7 seed Vasek Pospisil‘s failed to back up his surprise win in Shanghai over Richard Gasquet by falling to another Frenchman in Gael Monfils the very next round. 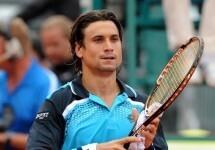 If his Kuala Lumpur run is anything to go by, he may have a tough time against Lleyton Hewitt to begin the tournament. Pospisil struggled past Victor Hanescu before losing to Federico Delbonis in the Malaysian capital but it surely cannot get any worse than his last meeting with Hewitt where he won just two games in Newport. The winner will play either Robin Haase or a qualifier that could include the likes of Ryan Harrison and Ilija Bozoljac. The bottom half of the draw looks fairly straight forward wildcards and qualifiers scattered amongst the top two seeds. Philipp Kohlschreiber (Bio)plays the winner of a Jan Hajek-Qualifier matchup. Hajek is much more comfortable on the clay and was destroyed 6-1 6-1 by Belgian prospect Kimmer Copperjans in their Rennes Challenger clash last week. Despite a run of nine straight losses midway through the year, Lukas Rosol remains in the top 50 at 41 which is enough for the eighth seed. He plays Jesse Huta Galung in round one – the Dutchman broke into the top 100 with some excellent Challenger performances in the past few months but the indoor stretch has not been kind to him with losses to Maxime Teixeira, Jaroslav Pospisil and Flavio Cipolla. This tournament could be one for Rosol to regain his confidence, especially with Michael Russell or a qualifier as a prospective second round opponent. Radek Stepanek returns to the main tour for the first time since the US Open. In that stretch, he helped Czech Republic to the Davis Cup final yet again as well as 10 straight wins on the Challenger circuit. He lost just one set in taking the titles in Orleans and Mons defeating Leonardo Mayer and Igor Sijsling in the respective finals. He should be full of confidence when taking on wildcard Martin Fischer in round one. He could potentially face a second Austrian wildcard in round two if he were to defeat Fischer – Gerald Melzer faces Lukas Lacko but will have his work cut out. Jurgen’s younger brother has not played an indoor match in two years, much preferring the clay. Tommy Haas (Bio) rounds off the draw as second seed and will be able to ease his way into it with either Pablo Andujar or a qualifier to begin the tournament. Neither Stepanek or Kohlschreiber have winning records against Haas – Stepanek is 3-3 while Kohlschreiber is 2-3 against Haas.